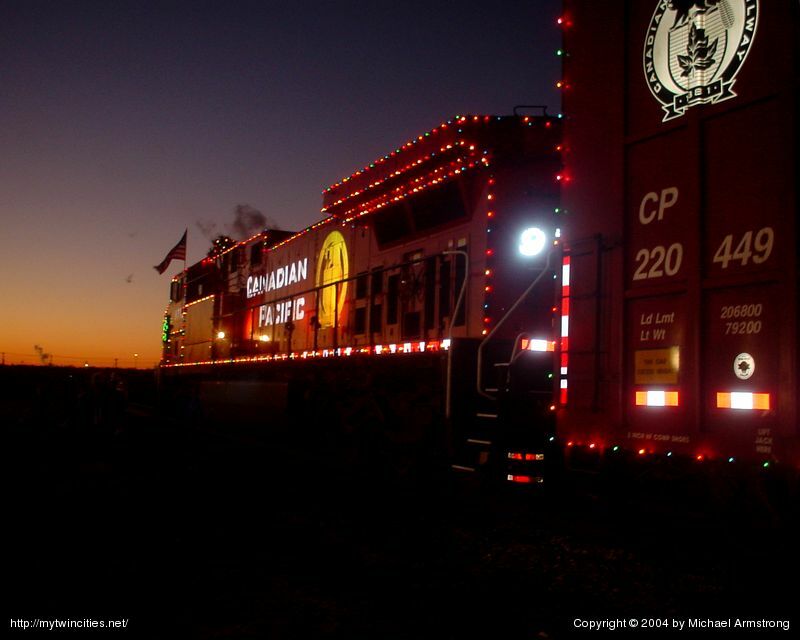 This one is from the CP Holiday Train in 2004. It was shot at Shorham Yard using a friend's camera that I had never so much as laid eyes on before that night. The bright spots on the couple areas, like the 9 you see peeking around the end of the box car, are reflective tape bouncing back the flash from the camera. This has long been one of my favorite photos that I've ever taken.